These were just too cute to pass up! What bird doesn't love peanuts?!? 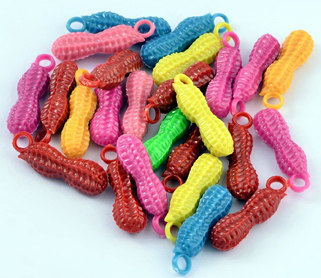 These are bright, colorful and full of texture for tongue teasing fun! A great addition for your beading projects!